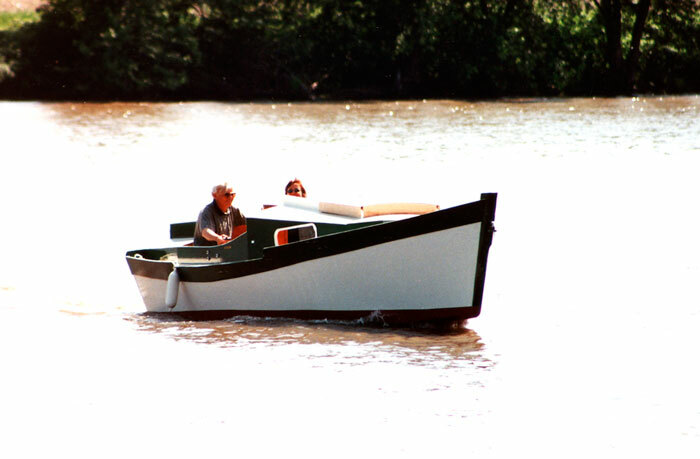 Don Lewis took 16 months to build his first boat, PILGRIM, a Karl Stambaugh design called Redwing 18. It is an 18'6" cuddy cabin boat. Mr. Stambaugh's advice was invaluable and Kitzman's Lumber of Dixon, Il went out of their way to deliver special orders. 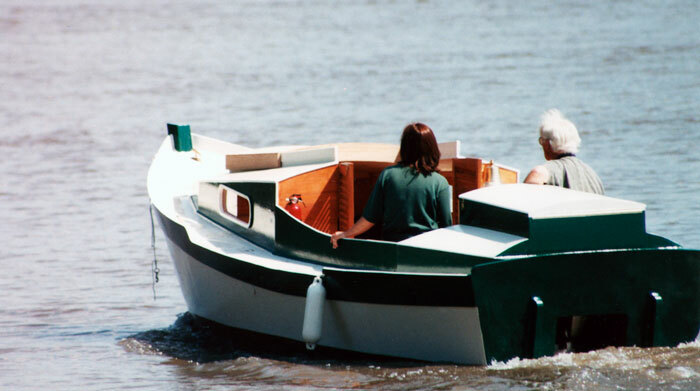 Don's mother-in-law, Lyn Fields, loved the boat so much, the she purchases the 15-hp, four-stroke Honda engine for him. He launched PILGRIM on June 23, 2001 on the Rock River in Illinois. Don used marine plywood for both hull and frames, and covered everything with fiberglass cloth and West epoxy.